The press release is somewhat misleading, as it says the air radiation 1 meter from one bag of the leaf compost is 0.06 microsievert/hr. If you measure in front of the pile of the same bags, the radiation is as high as 0.48 microsievert/hr. Akita’s air radiation level (which the prefectural government measures only at 2 locations) is between 0.04 and 0.06 microsievert/hr. Shimotsuke Shinbun (local Tochigi paper; 7/27/2011) reports that Tochigi Prefecture tested the leaves that went into the leaf compost bags, and they found 72,000 becquerels/kg of radioactive cesium. The leaves were collected in the northern Tochigi in April, and was sold outside the prefecture from mid June to early July. 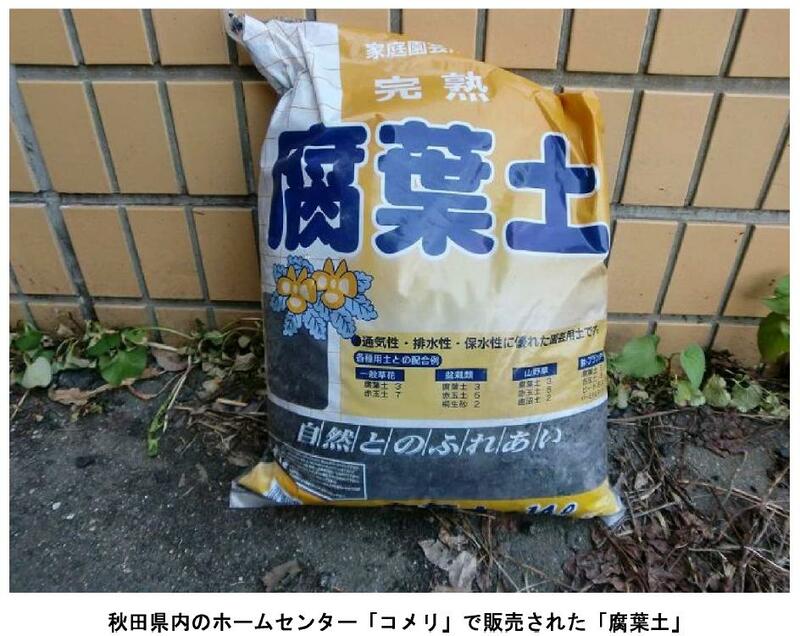 The Tochigi prefectural government ordered the two sellers of leaf compost in Tochigi to recall what’s been sold and refrain from shipping “voluntarily” (i.e. at the sellers’ own cost, with no support from the government). The Ministry of Agriculture, Forestry and Fisheries couldn’t even figure out that cattle farmers feed their cows with rice hay. What the individual home gardeners use for their small gardens was probably none of their concern, as the Ministry is there for the producers. General Electric Health-Care Unit (World’s Biggest Maker Of Medical-Imaging Machines) Moves Headquarters To … CHINA!